Personalized e-Coaching : Regardless of your journey in life and the role you play at work or at home, we could all do with a little bit more wisdom. Using Skype as the coaching medium, we offer a strengths-based, character-driven approach to assist you in reaching your potential. Subscribe to Joseph's regular Wise-Videos - sent directly to your mail box. Click on the left video for a sample. You have attended plenty of leadership seminars, workshops, conferences and your bookshelves are full of self-help materials and resources but when the "rubber meets the road", you find it hard to connect your significant passion with your sustainable performance. You often wonder - "Why is my energy level depleted at the end of the day? How can I find more joy in my work so that it is more than just a job?" As the first Gallup-certified strengths coach in Malaysia, Joseph will assist you to fully understand how to apply your greatest talents and strengths in your workplace. Your best bet for success lies in building on who you already are, not in trying to become someone you're not. Click here to register your interest. You do well in school but what's next? Instead of choosing a career based on your talent themes, you are prone to make career and life choices to comply with the expectations of others. 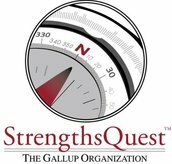 StrengthsQuest is used at more than 600 schools and universities in North America. More than 1 million people have used StrengthsQuest to gain insights into how to use their talents to achieve academic success, to explore careers, and in leadership development. We will work with your teenager (parents encouraged to be part of the coaching conversation as well) to go beyond just relying on academic grades to determine one's future life and career purpose. Without a strengths-based framework, most teenagers are evaluated based on their weaknesses and thus miss out on their true potential. We often take our most powerful talents for granted, and many may not be fully aware of them. Click here to register your interest. When asked to described how their children would look like when they are 30 years old, parents seldom equate future success with material wealth and prosperity, instead parents describe their children's desired future state as one of being a responsible, independent, courageous and joyful person. If character is the future goal, then why do we get so caught up with chasing the next best grade on the report card? 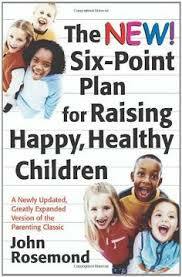 Based on the proven research and experience of John Rosemond, family psychologist and author of over 15 parenting books, discover a rock-solid approach to dealing with parenting stresses such as defiance, disobedience, self-centeredness, ungratefulness and disrespect. The curse of modern psychology is that we have given the leadership reins of the home to our children on a silver platter and it is time for parents now to take back that responsibility as the loving leaders at home who is in control. As the first Rosemond Parenting Leadership Institute certified parent coach in Asia, Joseph will work with you first (as the parent) before any real work can be done with the child! This is because all persistent child misbehavior has its beginnings in a parental issue. Click here to register your interest.